The ICCLab project is the foundational seed project or our research lab. It designs, deploys, and operates the ICCLab cloud computing hard and software infrastructure and addresses important research aspects around automation and interoperability of cloud computing infrastructure and frameworks. 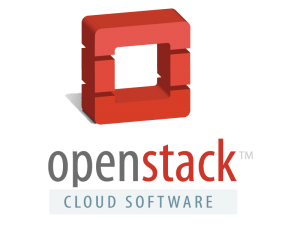 The framework of choice is OpenStack, which enjoys significant industry and academic support and is reaching good levels of maturity. The lab will support pre-production usage scenarios on top of OpenStack services as well as experimental research on OpenStack technology and extensions. Currently the actively deployed OpenStack services are the OpenStack compute service (including keystone, glance and nova), and Swift, an object storage service. The lab is equipped with COTS computing units, each running on 8×2.4 Ghz Cores, 64GB RAM and 4×1TB local storage per unit. To store templates and other data the we run an additional 12TB NFS or iSCSI Storage which is connected to a switch with a 10Gbit Ethernet interface. The Computing Units are connected to a 1Gbit network for data and another 1Gbit net for control traffic. At the heart of the CCLab is the Management Server, which provides an easy way to stage different setups for different OpenStack instances (productive, experimental, etc.). The Management Server provides a DHCP, PXE and NFS Server and some pre-configured processes which allow a bare metal computing unit to be provisioned automatically, using Foreman, and then have preassigned roles installed, using a combination of Foreman and Puppet. This provides a great deal of flexibility and support for different usage scenarios. One core concern with Cloud Computing addressed by the ICCLab seed project is Cloud interoperability and the ICCLab project is inparticular driving the OCCI standardization. A second, more operational concern is automation (deployment, configuration, scaling) of cloud computing services. Details about these activities can be found under the research themes and blog space at this website. A. Edmonds, ”Open Cloud Computing Interface” Presentation (audio) to ISO SC38 at DMTF APTS, Boulder Colorado, 2011.